Listening to KOKE FM one day on my commute from work, I caught this tongue-in-cheek song about the trials and tribulations of making it in music. The name of the song was “Overnight Success.” It was a by-and-large autobiographical tune by a new-to-me Texas country singer-songwriter by the name of Zane Williams. What struck me about the song was, it was funny without being dumb. It was believable while being entertaining. It was the delivery, the words, the melody. To me, “Overnight Success” is an amazingly well-written and performed song. I wanted to find out more about the artist. Zane Williams is Texas born (Abiline) and has called Kentucky, West Virginia, California, and Tennessee his home before moving back to Texas in 2008 and settling in McKinney. He has four albums under his belt including Hurry Home (2006), The Right Place (2009), Ride With Me (2011) and Overnight Success (2013). Well, kind of like the song, even though I “discovered” him only a few weeks ago, Williams has been at it on a full-time basis since 2000 when a Nashville booking agent got him a gig playing the college circuit. He’s actually won a string of songwriting contests and has been a Nashville writer. One of those prize winners, “Hurry Home,” was taken to #14 on the Country charts in 2010 when Jason Michael Carroll covered it. Sean Claes: Tell me about “Hurry Home,” the song that both garnered you the top prize in the John Lennon Songwriting Contest in 2005 and a top14 hit when Jason Michael Carroll covered it. 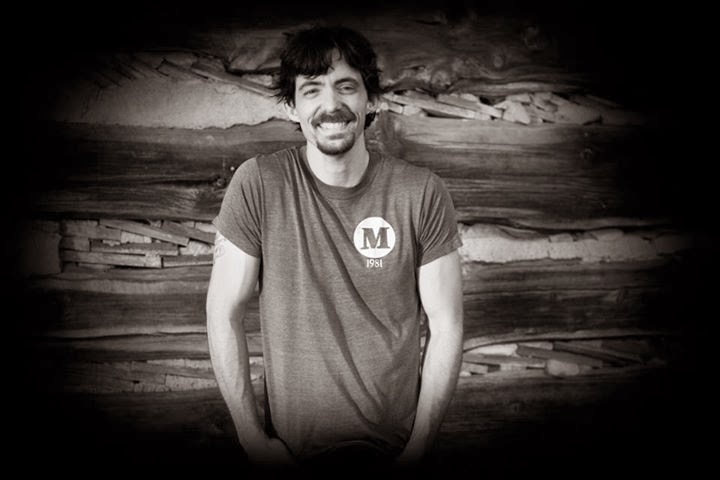 Zane Williams: I wrote it in 1999 after first moving to Nashville. It won a lot of song contests over the years but was never recorded. Then in 2007 a guy bought my CD at a show in Nashville, gave it to his friend who was a lawyer at Sony/BMG, who gave it to an A&R guy at Sony, who played it for Jason. I view it as a modern-day retelling of the Prodigal Son story. Claes: You won the John Lennon Songwriting Contest again in 2007 with “Hope Is A Flame” which you released on 2011’s Ride With Me. How did that song come about? Williams: I was writing for a publishing company in Nashville at the time…doing that full time instead of touring and making records. So I just came in every day and tried to write a song. I wrote that one on piano and when it was “finished” a friend in A&R said the lyrics were too abstract. So I re-wrote the whole thing, and I did think it turned out better the second time. Claes: The Right Place was produced by Radney Foster. How did he end up producing the record, and how was the experience working with him. Williams: I had just moved back to Texas and was new to the Texas scene. But I knew Radney was a great writer and had produced the Randy Rogers Band, whose stuff I loved. He had no idea who I was, so it took 4 months of bugging him and everyone connected to him before he finally listened to my music. When he did, he loved it and immediately wanted to work with me. Claes: Pat Green just cut one of your tracks, “While I Was Away” which is also on your June 2013 release Overnight Success. It seems like a very personal story. How is it hearing Pat Green sing the song you wrote about your son? 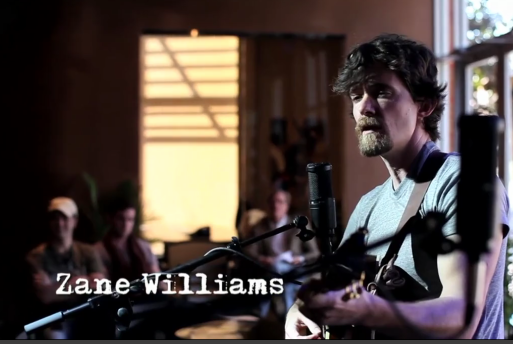 Williams: I love hearing other people interpret my songs and give them a life of their own. I’ve heard Pat’s version and it was really cool to hear that recognizable voice singing my lyrics! Claes: You penned every track on Overnight Success. Do you have a favorite song? Williams: Probably “While I Was Away”. The more I sing it, the more I realize how many people can relate to it. I think that one’s going to be a hit for Pat (and for me). Claes: Speaking of the new album, the title track about the road to the top in music was what introduced me to your music. How much of “Overnight Success” was autobiographical? Williams: I’ve lived out every single line in that song. I only changed very slight details….for instance; I actually borrowed $17K from my grandparents to make my first CD, not $10K from my uncle. Ha. Paid them back in one year, too!! Claes: You include a little jab at American Idol at the end of the song. What do you think of those types of reality TV for musicians? Williams: I think they’re a good option if you have a killer voice and don’t have much else going on. If you already have a publishing deal, or record deal, it’s not really worth signing all that away. Claes: While on the subject of reality TV, you are featured on Troubadour TX. Of course, that’s a little different, as it tells the story of the working musician, rather than competing for a spotlight in a studio. How did you get involved in that show? Williams: One of the original producers had seen me play locally in McKinney, TX where he lived. When they were doing their first audition, he emailed me (along with many others) and asked if I wanted to come. Claes: I watched the episode where you opened up for Martina McBride. What was that experience like? Williams: It was a whirlwind trip because I had to fly all the way to northern California and back in a short time period. But for the short time I was there, it was a very relaxing and enjoyable experience! I got to meet Martina and she was very sweet to me. Claes: Who has been some of the musicians you’ve met along the way that have given you good advice? Can you share a little bit? Williams: My producer Tom Faulkner had a major label deal at one point, and he always has insightful things to say about his experiences. My buddy Aaron Watson told me a lot about the Texas music scene when I moved back, and helped me get oriented. The best advice is the Nike slogan “Just Do It”. No one has a magic solution, and what worked for someone else might not work for you. You just have to jump in, do the best you can, and learn as you go. Claes: Who are some of the musicians out right now that everyone should hear? Williams: I love Charlie Worsham’s new record, and I really hope he does well with it. I also like the Turnpike Troubadours a lot, musically and personally. I still think Randy Rogers is the king of red dirt…he has been so consistent putting out great songs over the years. Kacey Musgraves is another one who I hope makes it big because her songs have depth and cleverness to them that is lacking in a lot of popular songs these days. Williams’ new CD, Overnight Success can be found on iTunes (along with his previous releases). Take a listen to his stuff on his website ZaneWilliamsMusic.com. You can also check there to see when he plays next. The last chance to catch him around the Austin area is Thursday, November 14 at Gruene Hall (Gruene, Texas) where he’s playing a free show at 6:00p.